Ralph Yeilding is Chair of the firm's Trusts and Estates Practice Group. His primary areas of practice include estate and gift tax planning, estate and trust administration, IRS estate and gift tax audits and litigation, and state court probate and trust litigation. Ralph regularly advises individuals and fiduciaries on a broad range of estate, trust and probate matters, including rendering advice concerning estate and gift tax planning, and drafting wills, trusts, family LLC's, limited partnerships and other family business entities. In addition, Ralph has a very active practice handling a variety of estate and trust litigation matters. Ralph is a Fellow in the American College of Probate and Trust Counsel and has been a frequent speaker at estate planning seminars for many years. He is past President of and member of the Board of Directors of the Estate Planning Council of Birmingham. 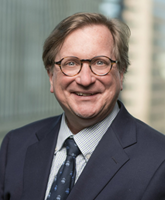 He is listed in the Best Lawyers of America and also represents a number of private charitable foundations and serves as counsel to The Community Foundation of Greater Birmingham.